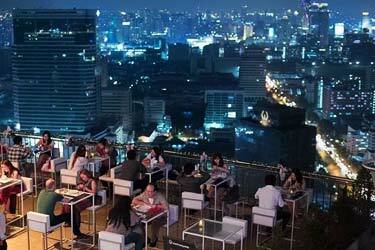 Long Table Bangkok rooftop has two main prides. 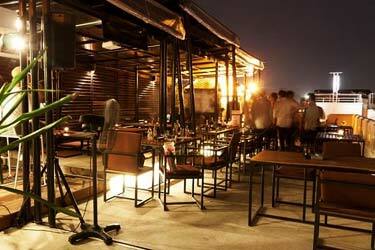 Being Bangkok's preeminent Thai restaurant and having Thailand’s longest existing restaurant dining table (25 meters long). 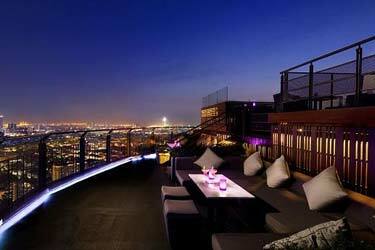 So, the name is definitely suitable. 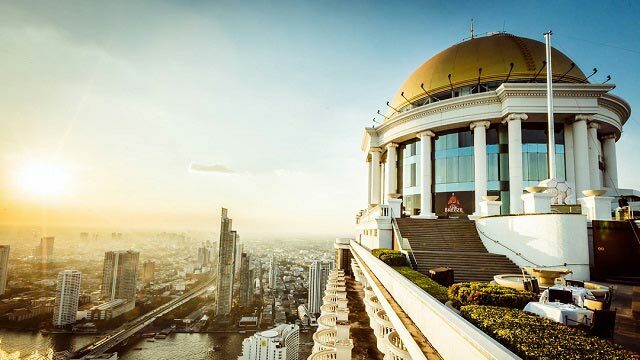 A third pride should be the views over the Bangkok skyline, which is really good from the 25th floor of the Column Bangkok Hotel. 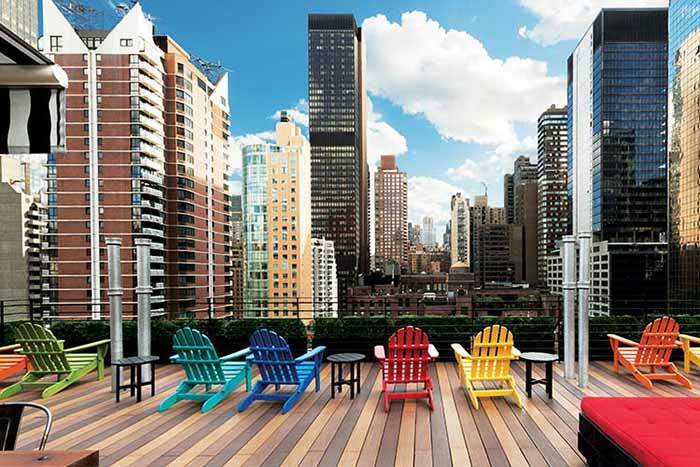 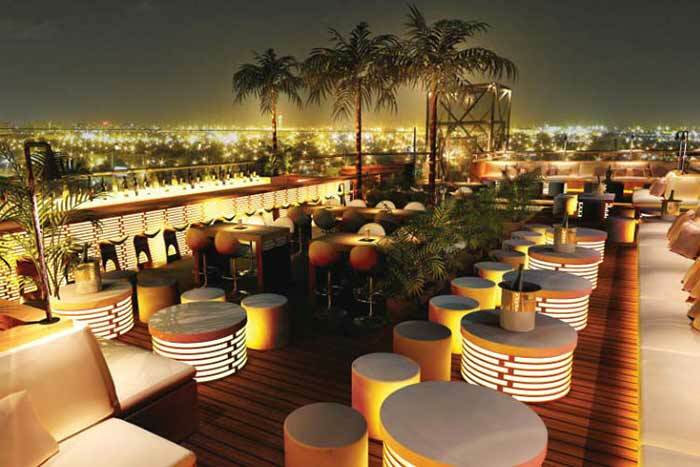 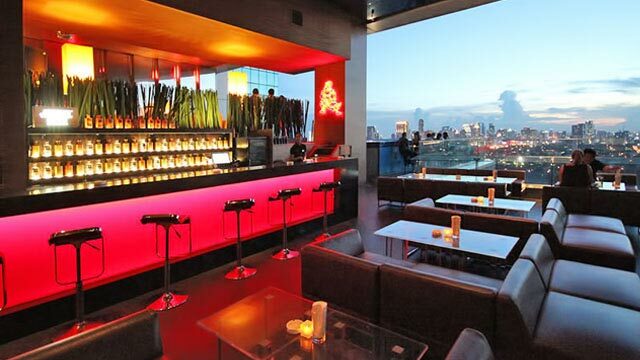 Seating both inside and outside, and the décor on the terrace is futuristic and clinical with some bar stools, leather couches and glass tables, all in connection to the rooftop pool. 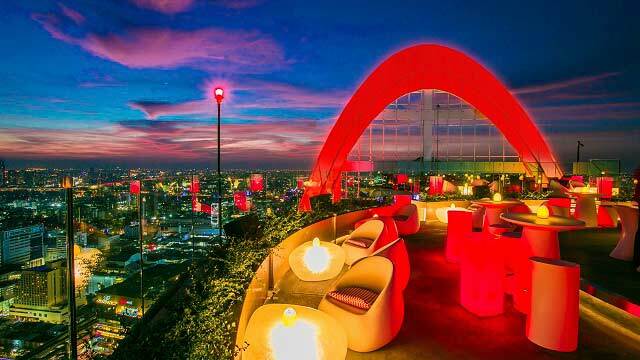 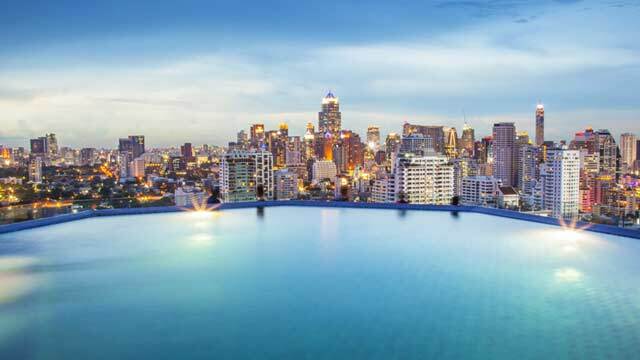 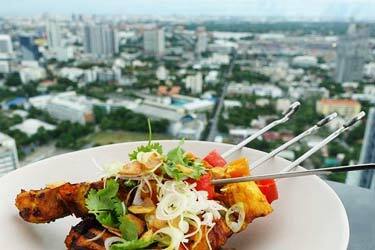 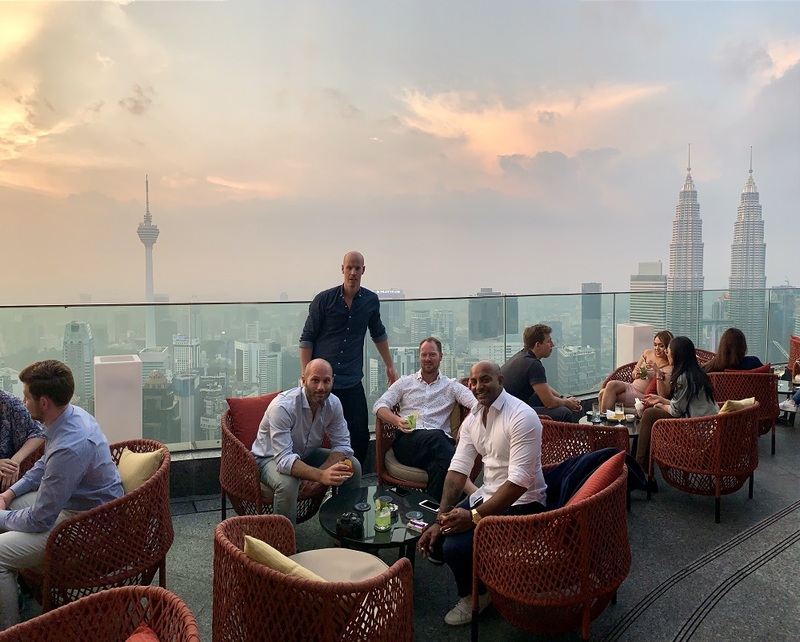 Given the Thai food menu and friendly ambience, this is probably the best rooftop restaurants in Bangkok that you can find here, if you are looking for a genuine Thai-experience. 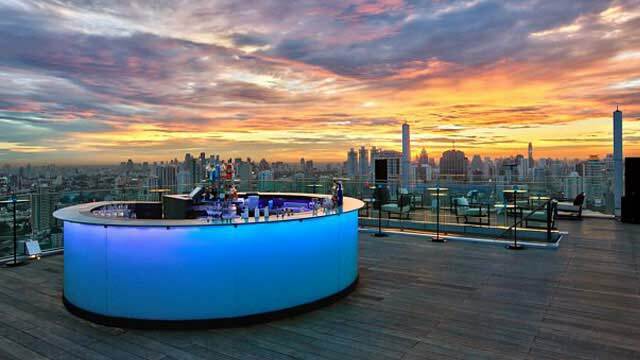 But there is also an extensive drink list, with both classic and signature cocktails, so Long Table works very well to visit for just some casual drinks as well. 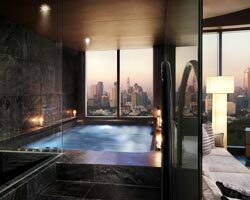 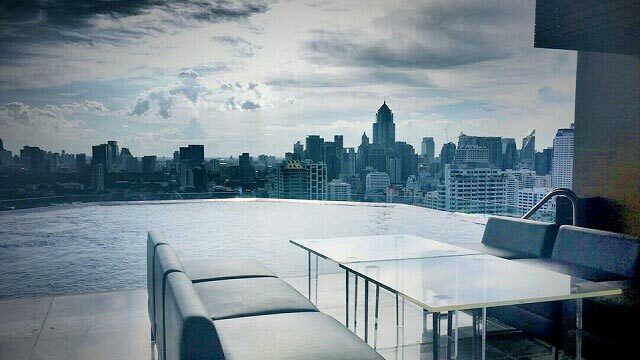 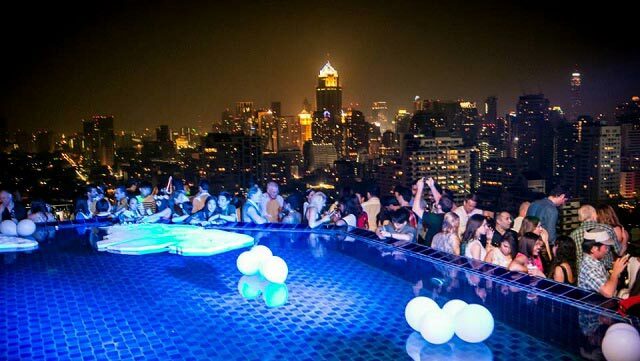 Tip: For the best combo of a Long Table and a large rooftop pool, book your stay at the 4-star Column Bangkok Hotel.